Faculty and Staff: How do I create an Adobe Connect room? Almost always use Single-Speaker Mode with Connect. This only allows one speaker to talk at once. Use the hand raising feature, for others to talk and mute yourself when required. It's possible for everyone to talk, but we recommend headsets and using the Full Duplex audio. Remember, it's just like real life when people talk over one another: no fun. In the Meeting > Preferences > Video, use 4:3 video and set the settings to High. In the Meeting > Preferences > Microphone, set your audio quality to High or Custom (Echo Path 256, Noise Suppression and Non Linear Processing. We caution against enabling the Speex codec: there is an Adobe KB article that states that if you record the conversation, and you have an active video pod, you may get audio drift. 1. 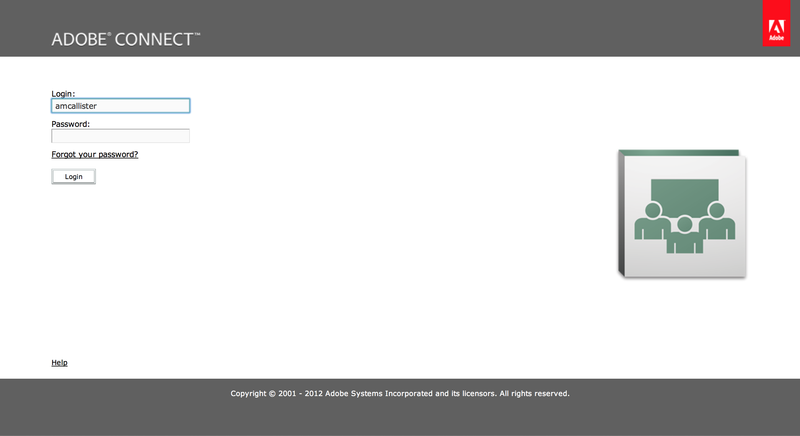 Log in to Adobe Connect at https://connect.ocad.ca/ using your Faculty or Admin username and password. 3. 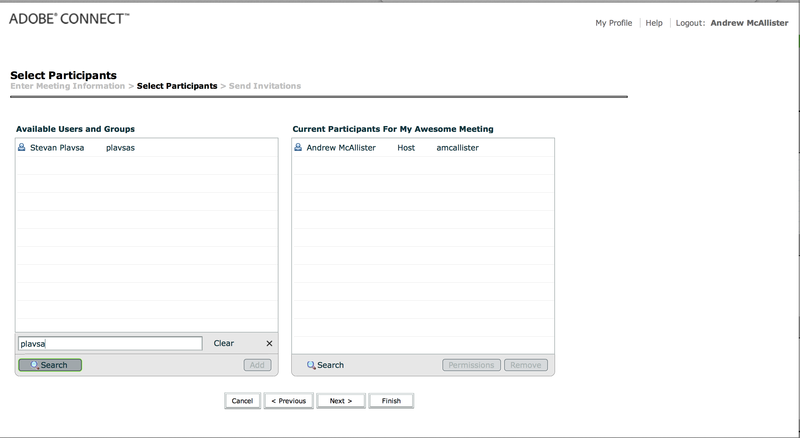 Give your meeting a Name: (required), Start Time and Duration. 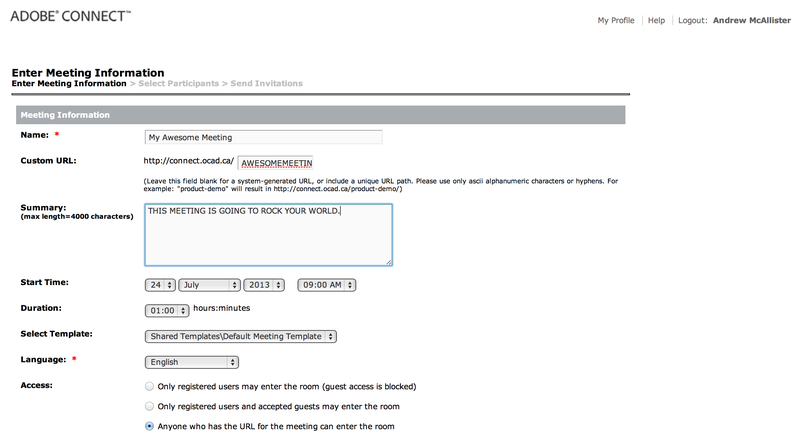 We also recommend giving your meeting a easy to read Custom URL. 4. Choose a level of Access: for your room. 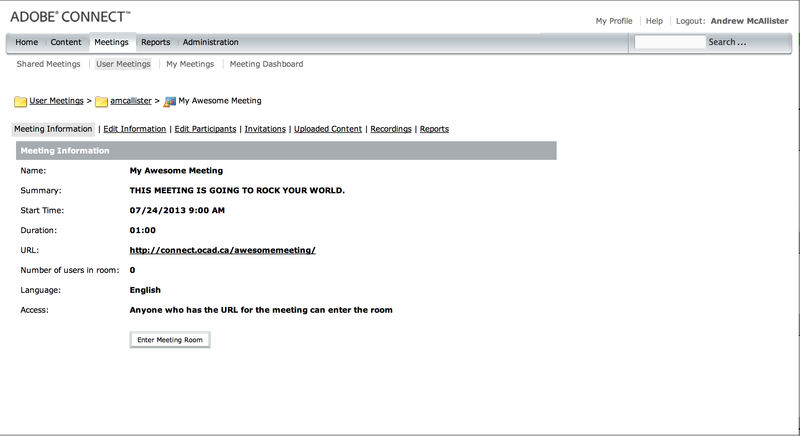 If your is not confidential, we recommend using Anyone who has the URL for the meeting can enter the room. 5. 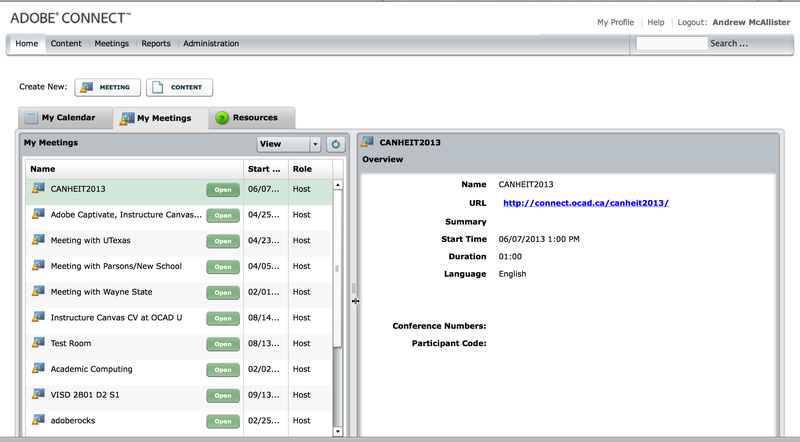 If you restrict your room to Only registered users you will need to add them on the next screen.